Loma Holidays offer self-catering accommodation through the use of their large and luxurious private villas located in the South of Spain. Loma Holidays were looking for a website to showcase their wonderful holiday homes whilst providing detailed information for future guests. 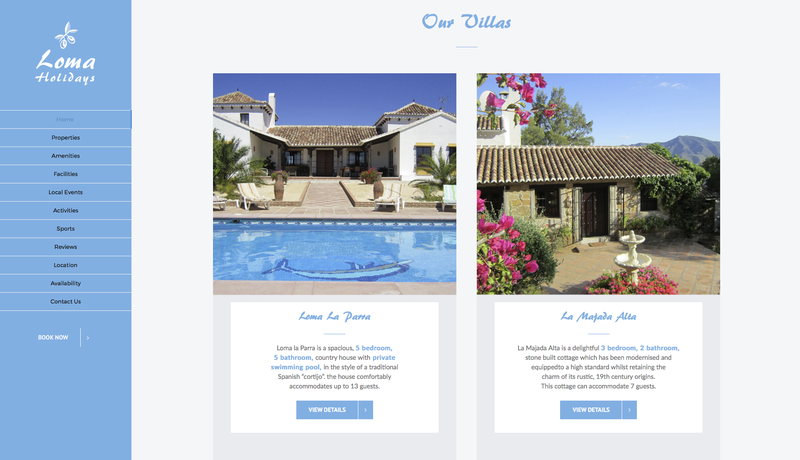 The website design was created around a light blue colour scheme with a white contrast for a cool and fresh appearance – emphasising the vibrant blue of the Spanish skies and inviting swimming pools present throughout the images of these incredible villas. 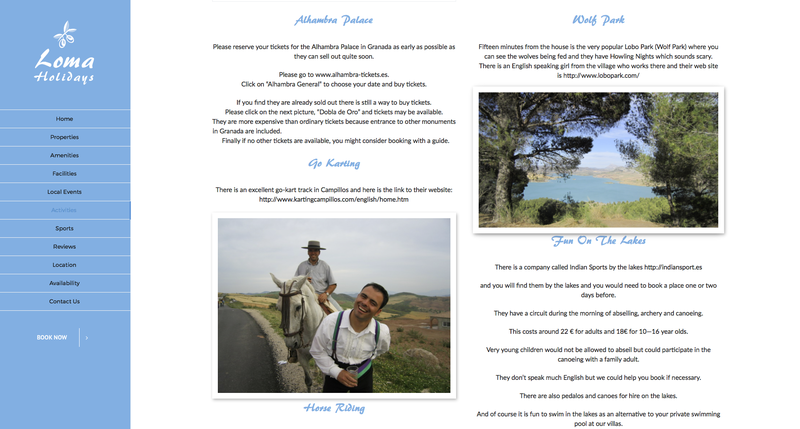 In terms of navigation, the home page presents the two available villas for the user to choose from. 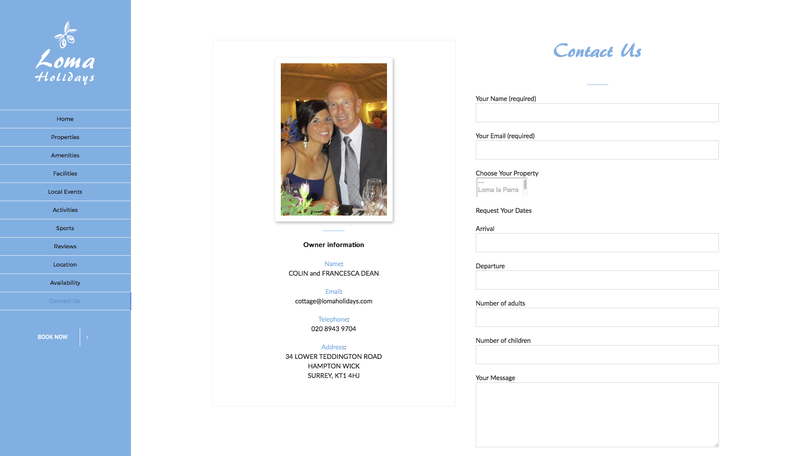 Alternatively, if they are desktop browsing, users can choose from the left-hand menu for general information or select from the main drop-down menu if they are using a smartphone to view the website. Each of the main property pages provides in-depth information about the villa in question, including reviews from past guests and a gallery full of high-quality images that show the impressive accommodation on offer and views of the surrounding area. 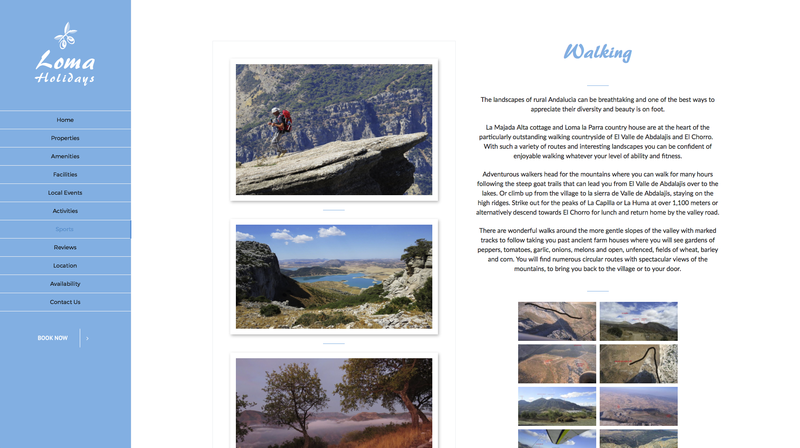 These pages also include details on pricing, availability and location with an embedded Google map to ensure that the process of organising a getaway to one of these idyllic Spanish retreats is as easy as possible for the user. As well as providing detailed information about each of the villas, the website is packed-full of information about the local area, activities and events on offer, to help guests make the most of their stay.